Markus Dochantschi’s interest in architecture began at the age of 14 with a passion for photography. But if line, shadow, and composition whetted the young aspirant’s zeal for designing buildings, his involvement in the discipline did not stop at pure aesthetics. Since founding studioMDA in New York City in 2002, Dochantschi has produced a body of work—both built and theoretical—that shows a deep dedication to a holistic approach to architecture, one in which formal considerations find their impetus in environmental factors, social forces, and user needs. In attaining this mature perspective Dochantschi had some first-class guidance. Trained in his native Germany, he got a taste of international architecture while doing internships in the offices of Arata Isozaki and Fumihiko Maki in Japan. After graduating in 1995, he moved to London, where he began working for the then up-and-coming Zaha Hadid, who had a staff of seven employees at the time. As Zaha grew, so did Dochantschi. By 1998 he was a director overseeing The Contemporary Arts Center in Cincinnati. It was that project that brought Dochantschi to the United States. Working from his apartment in New York City’s financial district, studioMDA’s first project was renovating a West Village townhouse. “I went from working on a complex cultural project to picking door handles,” said Dochantschi. 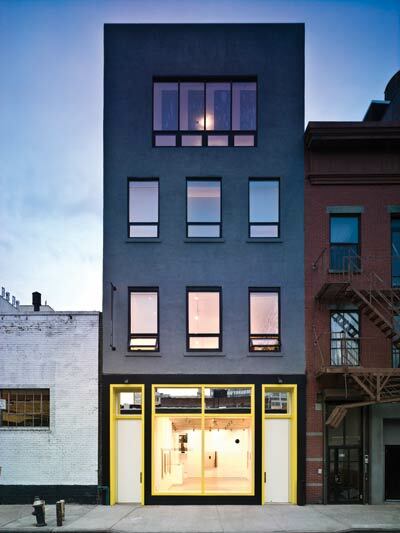 “I always believed that no project was too small.” By continuing to take on small residential projects, while simultaneously submitting to competitions and teaching—Dochantschi has taught at the Advanced Studio at Yale University with Zaha Hadid, Stefan Behnisch, and Gerald Hines, and the Advanced Studio at Columbia University, GSAPP—the studio slowly grew. Today, located in Tribeca, it numbers 12 full-time employees and is engaged in projects around the globe ranging in scale from small interiors to state-of-the-art educational laboratories. This educational project typifies studioMDA’s holistic, from-the-outside-in approach to design. The firm conducted wind studies to develop the form of the building so as not to disrupt the flow of air through Aachen’s city center. 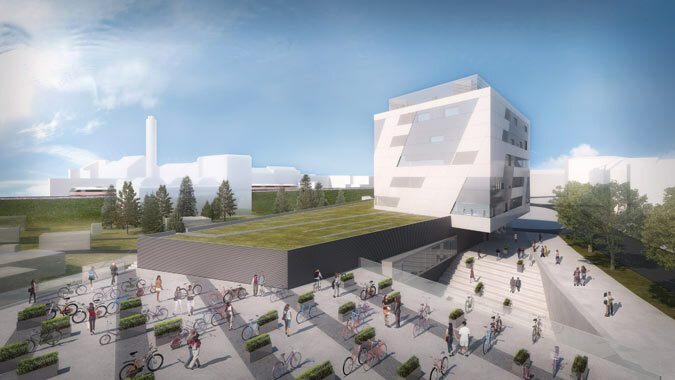 The 36,000-square-foot structure contains laboratories, classrooms, and offices for the University of Applied Science’s electrical and information engineering, mechanical engineering, and aerospace engineering departments. The interior was kept as open as possible to facilitate visual communication, while the facade’s transparency was carefully calibrated to deliver only the amount of natural light necessary for each interior space. Designed and developed by studioMDA in collaboration with Stefan Behnisch and Gerald Hines, this 280,000-square-foot project near downtown Brooklyn provides space for a dance center, retail, and 200 apartments. 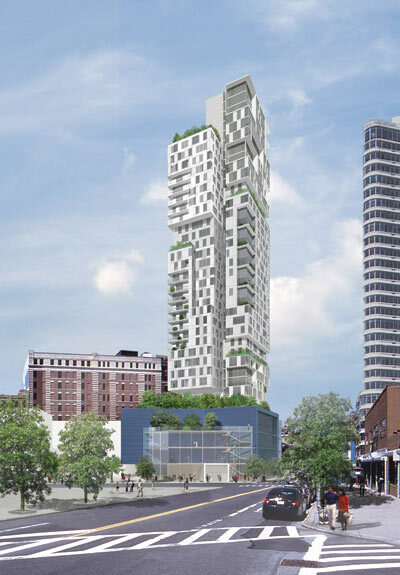 While the entire project is pursuing the highest degree of environmental sustainability, the residential tower seeks to promote ideal communities floor-per-floor. Rather than one monolithic elevation, the designers broke the mass into five clusters, each topped by sky gardens. 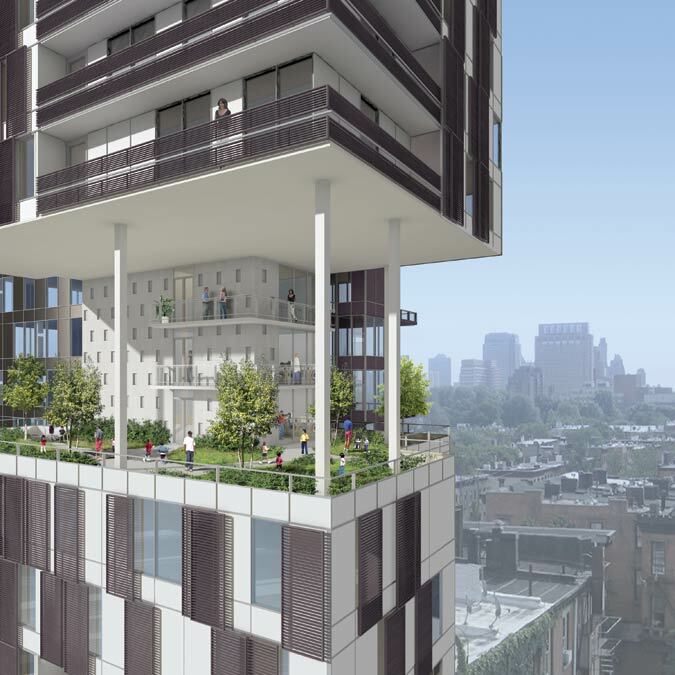 There are no more than six units per floor, and the plan is skewed to allow cross ventilation. 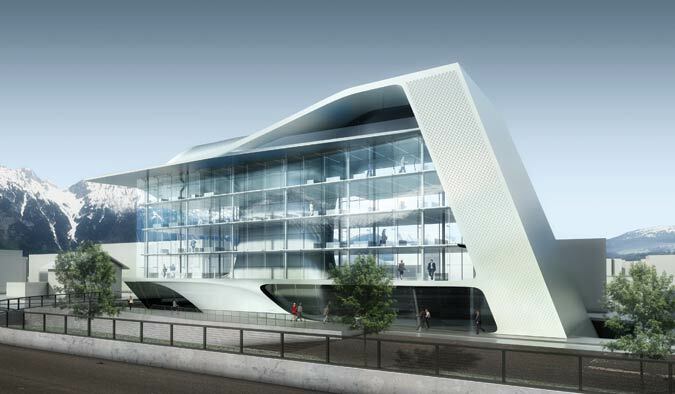 This 30,000-square-foot corporate headquarters forges a formal relationship to the mountains outside Innsbruck by referencing a melting block of ice. It also maintains a visual connection to those majestic peaks through a high-degree of transparency. StudioMDA conducted a careful study of the client firm’s working methodologies in laying out the floors, keeping lines of visual communication open all the way down the chain of command. 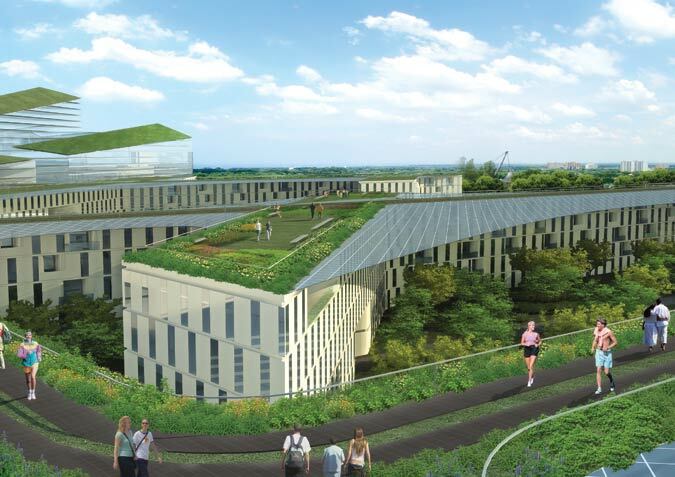 Athleticism and a connection to nature were the guiding forces of this competition entry for the Munich Olympic Village. 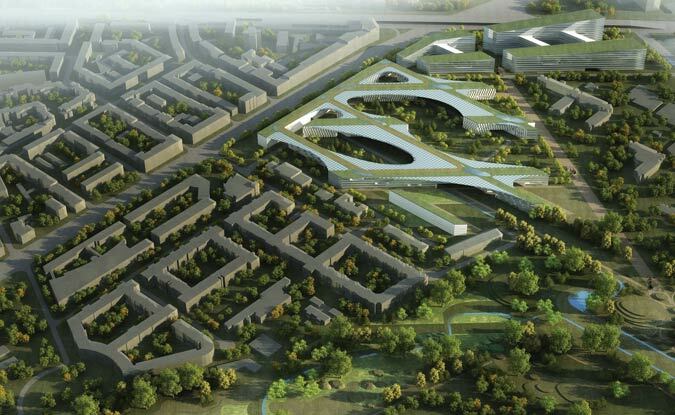 StudioMDA surrounded the building with parks in the form of green courtyards and green roofs, areas of both private and public orientation that promote community. The relatively low building height (five floors) encourages the use of the stairs and ramps as opposed to elevators. The energy plan calls for a mix of alternative energy-generating features, such as solar panels that also act as shading devices. StudioMDA teamed with sculptor Richard Artschwager for the design of this art gallery’s facade, which couples symmetry with reflectivity to create a solid-void dichotomy. 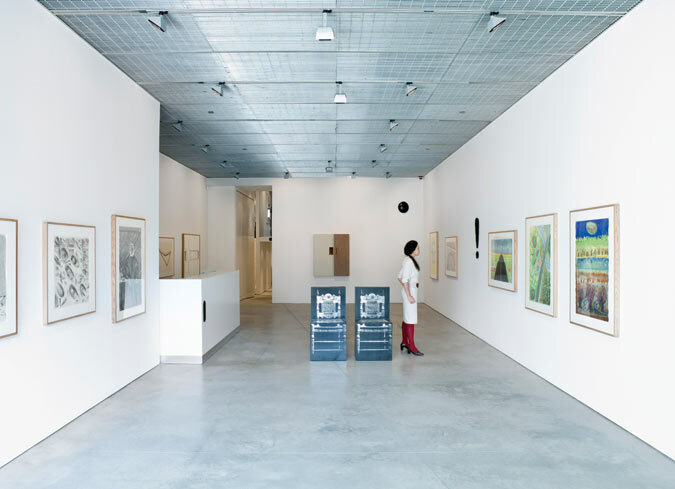 Inside, a hanging metal grid ceiling—whose gray color echoes the polished concrete floor—emphasizes the white gallery walls. In the back, the designers took care to maintain a visual connection between the gallerist’s office and the exhibition space.